From a man who fought off Russian spies, for a lost ark containing the bones of four christian saints, to a circus magician strongman, archaeologist who carried a mummy back to England. 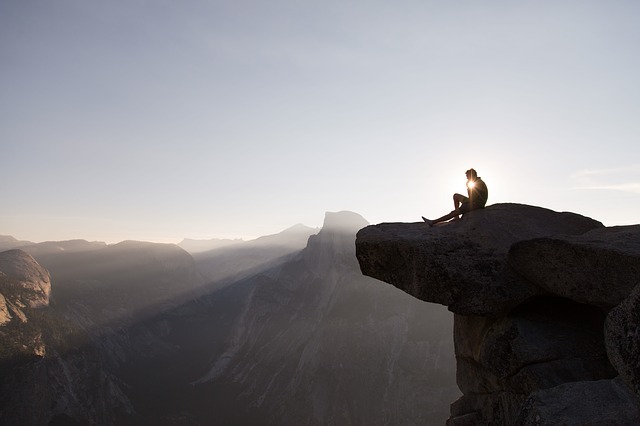 This is a list of 5 explorers you need to know of. 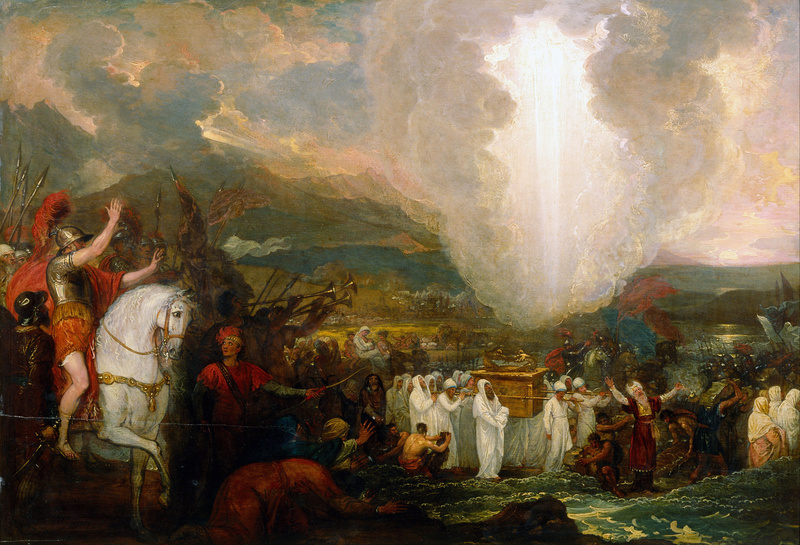 Joshua passing the River Jordan with the Ark of the Covenant by Benjamin West, 1800. Danny Douglas was a real life Indiana Jones, who recovered a real lost ark, while fighting off Russian spies with the same goal. They were both in search of a shrine lost during WWII containing the bones of John the Baptist, and three other Christian saints. The Ark was hidden underneath a castle owned by noble Beaufort-Spontin family. They were forced to leave the castle after being branded Nazi-sympathisers. They were the only people who knew it’s location, and vowed to one day reclaim it. Douglas was a well connected businessman when he secretly teamed up with a member of the Beaufort-Spontin family to recover it. Douglas fought with the Czechoslovakian police to find the treasure first, but eventually lost. It now stands in a museum in Czechoslovakia. These Buddhist monks were surprisingly violent. William led an incredibly interesting life. He was an anthropologist, an adventurer, a university Professor, a journalist, and at one point a Buddhist monk in Japan. He explored the Amazon, lived through a Mexican revolt, studied at Oxford, and was even a war correspondent, and military strategist. All by the age of 30. Montgomery snuck into Tibet disguised as porter. 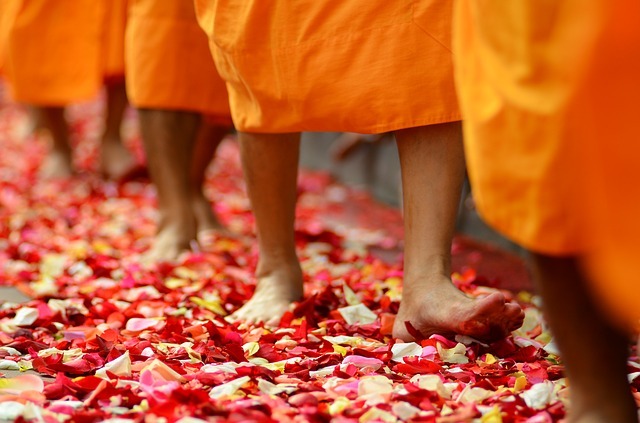 He was found out, and an angry mob led by Buddhist monks stoned his house. He then snuck out through the back door, and joined in stoning the house. Eventually he was caught, and sent to India. William was also a soldier. He attempted to take part in the second Sino-Japanese war, but his wife got arrested taking pictures in the street, and he was thrown in jail with her. He later joined in the second world war, and then the theater. Gertrude is known for the foundation of Jordan and Iraq. Gertrude Bell was a writer, traveler, political officer, administrator, spy and archaeologist. 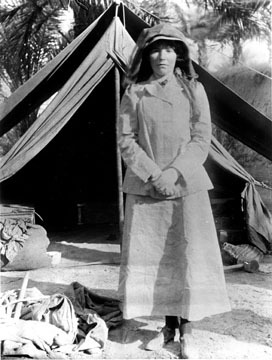 Gertrude worked closely with Lawrence of Arabia, and was a highly respected person at the time. She was given an enormous amount of power, considering she was a women, and lived in sexist times. Gertrude was working in the middle east during the Armenian massacre which she described as “were not comparable to the massacres carried out in 1915 and the succeeding years. Turks sold Armenian women openly in the public market.” Gertrude said. 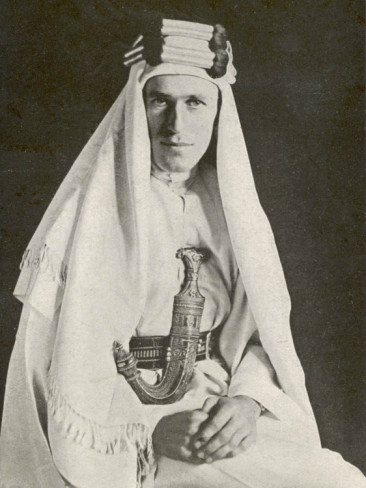 Lawrence was immortalized by the film of his life titled, “Lawrence of Arabia”. Lawrence was not only an archaeologist, but also a military officer. Lawrence graduated with a first honours degree from Oxford, in Archaeology. He then joined the Oxford University officers training corps. Lawrence was commissioned by the British Army to undertake a military survey of the Negev Desert while doing archaeological research. Lawrence was a superb tactician and a highly influential theoretician of guerrilla warfare. His small but effective irregular forces attacked Turkish communications and supply routes, tying down thousands of Turkish troops and preventing them from fighting against regular allied forces. Lawrence became famous trying to gain Arab independence. Even though he failed, American journalists spread is name far. 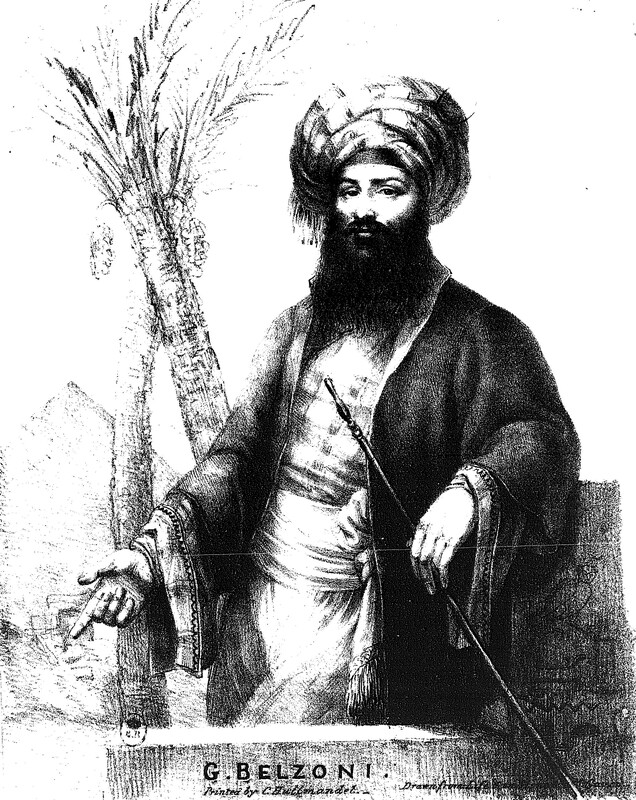 A depiction of Belzoni. Sometimes known as the great Belzoni. Belzoni made many great archaeological discoveries, in Egypt, uncovering pyramids, and mummies, leading to him becoming a prolific explorer. Belzoni was a young man living in Rome when he was forced to change location by a French occupation, in 1798. Belzoni moved to England, and became a builder, but soon found he was a better fit for the travelling circus, due to his giant stature at 6ft, 7” tall. He impressed the crowd, as a strong man, and magician. He later became an archeaologist, and uncovered rameeses II bust, which weighed over 7 tons. It took him 17 days and 130 men to tow it to the river. He used levers to lift it onto rollers. Then he had his men distributed equally with 4 ropes drag it on the rollers. On the first day (27 July) he only covered a few yards, the second he covered 50 yards deliberately breaking the bases of 2 columns to clear the way. After 150 yards, it sank into the sand, and so he moved to firmer ground. On the 12 August, he finally made it to the river where he was able to load it onto a boat for shipment to the British Museum in London.